Oh, did we mention Stuff Monsters Like will be there? We will be there all day. And we are bringing our usual off-brand sense of humor and irreverent take on literally everything. First, don’t forget to come by the Stuff Monsters Like table in the Exhibitor Hall and pose for a few pictures with our monster toys. Show us what kind of stuffed monsters you like. Then, come see Sarah and Jimmy, the Head Monsters and creators of SML, in the Panel Room at 5:00 pm. We plan to enlighten and entertain you during our panel: Monsters vs. Cats: How to Invade Earth on Five Bucks a Day. What happened during our space race with Russia? We’ll tell you. We have such big plans for Saturday. In fact, we are going to set a world record. During our panel. And you could be a part of it! 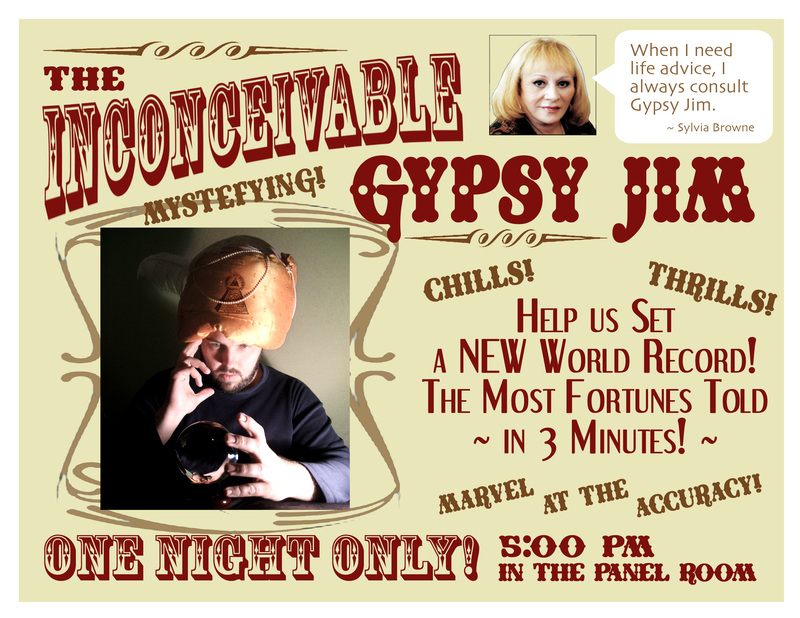 Come see the Inconceivable Gypsy Jim tell the most fortunes in 3 minutes. And help us make history. For glory, for honor, and for just plain wacky fun. Then pick a side. But choose carefully. We are going to have a giant, mega-video battle royale between cats and monsters for the complete ownership of the internet. Prizes will be awarded. Void where prohibited. No trolls and leprechauns need apply. So come to GeekOut at the Sherrill Center on the campus of UNC Asheville, and enjoy all the fun and fellowship with your geeks. 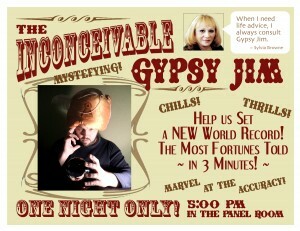 Then come see us at 5:00 pm if you want to have your mind blown. 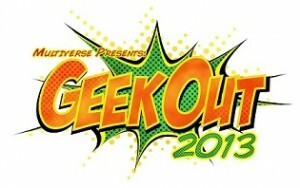 For more information about GeekOut, for the programming schedule, or to order your tickets, click here. Asheville, Cats vs. Monsters, event, events and appearances, GeekOut, panel, Stuff Monsters Like.